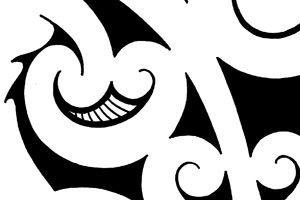 Description: Tribal forearm tattoo in maori style. Solid shapes in black divided by Kirituhi koru swirls and curves. This tattoo can also be used for the lower leg.